In 2005, Bugatti launched a car that single-handedly redefined the notion of a ‘supercar.’ It was called the Veyron and its statistics were mind-boggling: 0-60mph in 2.5 seconds; a top speed of 253 mph; tyres that cost £18,000 a set and an engine with ten radiators and four turbos; a launch control system taken from F1 and even windscreen wipers that create sizeable downforce…all delivered complete with a high-end stereo system, luxurious leather seats and air-conditioning. It was a feat of engineering grandiosity that, in automotive terms, rivalled the achievements of the great nineteenth-century industrialists. 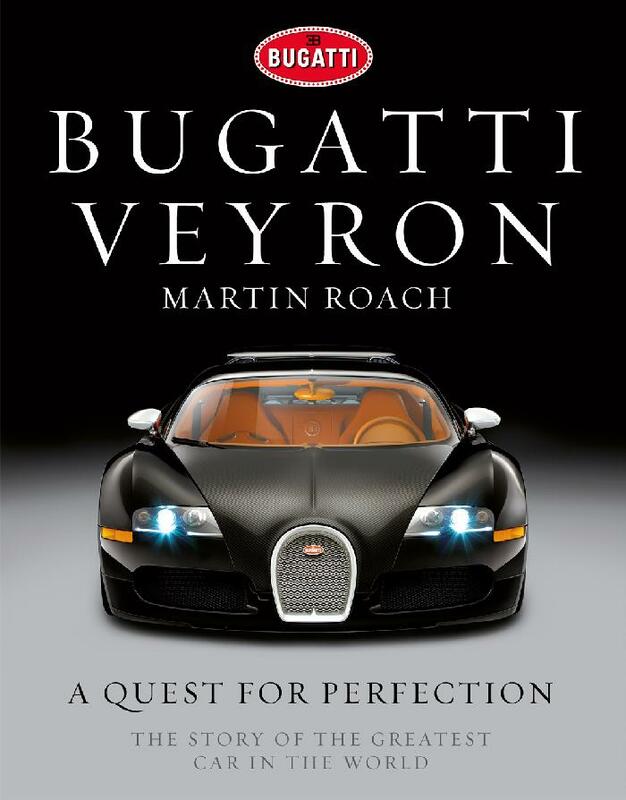 In A Quest for Perfection, number one bestselling author Martin Roach sets out to track down the mythical beast that is a Bugatti Veyron – and ultimately attempts to drive one. He travels across Europe to trace the genesis of this remarkable machine by interviewing famous engineers, super-rich owners and automotive presidents, as well as a host of other expert eye-witnesses to this unique car’s many achievements. Part history, part personal obsession, part travelogue, part humorous quest: in pondering this mechanical whirlwind, Roach has written a page-turning study of a modern masterpiece. MARTIN ROACH is a number one bestselling author with an extensive interest in motorsport and a long-standing passion for supercar history. He worked with David Coulthard on his critically acclaimed autobiography, It Is What It Is. In the course of his writing work he has witnessed the behind-the-scenes circus of the F1 paddock and motorsport’s secretive team factories up close, as well as enjoying first-hand experience of two McLaren F1s, a Ferrari F40, a Dino and a chocolate-brown Hillman Hunter. Written with the full support of Bugatti.